Today I want to cover all of the energy that will be triggered, transmuted, and going to effect us for at least the next month. We have a Full Moon happening with an eclipse, and this eclipse is the longest eclipse of the century. It's going to be an hour and 23 minutes. This Full Moon, the Sun will be in Leo and the Full Moon is happening in Aquarius, so this is a really exciting time because eclipses bring things to light. They bring things out from the depths of our soul and have us look forward and really move through. Full Moons are always about release. During Full Moons we bring to the surface, bring to light something that needs to be released, healed, changed so we can move forward and more into prosperity and abundance. This is a super exciting time. Now, it'll happen at 4:20 PM ET. It will be on July 27th. That is 2:20PM MT, 1:20 Pacific Time. It's going to be happening during our daylight hours. That said, we won't be able to actually see the eclipse, as it's happening on the other side of the world. They will get to see that, but we will still feel these effects, so let's get into it. We have a lot of different triggers going on here. 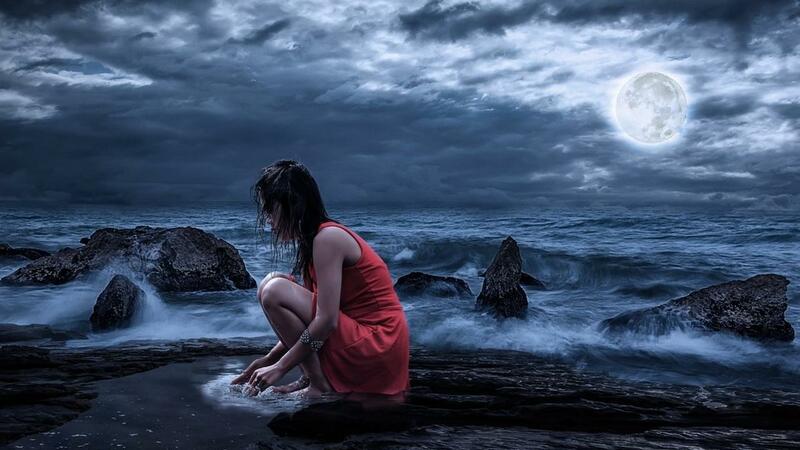 We are experiencing a Full Moon that's happening in Aquarius. It's also a blood moon. It's a fantastic time to look at how you light yourself up? How do you set yourself a fire ablaze? How do you get in to the depths of what it is you want to change? We actually have five planets in retrograde at the time of this eclipse and the little planetoid Chiron, which is the wounded healer in astrology. It is also in retrograde, so that's six total light bodies in retrograde during this eclipse. The theme here is to go within. Go inside yourself. How do you want to change? How do you want to be perceived differently? How do you want to work differently? The Aquarius sign is about freedom, break throughs, and creative thinking. How do you want to change that for yourself? Something that happens the day before that that's a really interesting energetic movement is Mercury goes into retrograde on the 26th, the day before. All of this happens while Mercury's in the sign of Leo right now, so it's going to be about looking at how you want to shine, how you want to step forward, how you want to be seen, and what's your message? This Mercury retrograde is a great time to go inward and see what your message is about. Then the very next day, the eclipse happens, which has a lasting effect on you for at least a month. If it's triggering something major in your birth chart, it can go on even longer than that, but these energetic effects will continue to be magnetized over the next month. You're being asked to go inward and look at how you want to be seen, how you want to be in the spotlight, how you want your message to be heard, that's a big part of this eclipse. Now, here's something else that's really interesting. The Moon and Mars, which is in retrograde as well, are going to be conjunct one another at the time of the eclipse and the Full Moon conjunct means they're going to be sitting right on top of one another. The Moon is about your feelings and your emotions, and Mars is about how you step forward and take action. Going back to the blood moon, it's about that fiery passion. How are you stepping forward? Is it with full passion? Is it with love? Is it with compassion? Is it everything that you want it to be? You're also going to want to explore how you can break free from something because Mars is in the sign of Aquarius and Aquarius is that rebel sign, the break free into freedom, really exciting sign. It's about going inward and looking at what do you want to change, how do you want to feel? Is there something you want to release and forget and move forward and break free from something that's maybe been holding you back. That's another thing that you want to look at during this eclipse Full Moon. You also want to look at some of these other triggering effects on the energy that are happening. We have Saturn making a trine to Uranus. You'll have a really good feeling about obligations of freedom, obligations of looking at things differently and breaking free. There's that breaking free theme again. It's happening on a 27 day. If you reduce that down you get to a 9, then you also have the 9 in numerology playing an effect of this eclipse Full Moon as well. The 9 is about compassion, leadership, love, and release. There is going to be a ton of purging around this Full Moon and the eclipse season. This eclipse is actually happening in the middle of two eclipses. We just had an eclipse and we'll have one more right after this one. So it's right in the middle and it's asking you please to start purging. Please start releasing things that aren't serving you anymore. Do it in a loving and compassionate way, and see how you can break free from things that have held you back in life. We have Chiron making a trine to the Sun. So it's a good time to look at yourself and ask yourself, how do you want to heal in a more loving and compassionate way? It's about you as a soul. You as an individual, you stepping forward, you've been who you're meant to be in love and life. We also have Venus, the planet of love and abundance, making a trine (which is a really good aspect in astrology) to Pluto. Pluto is about power, leadership, change and transformation. So you've got the theme and message of, how are you going to transform your love life? How are you going to transform beauty in your life? How are you going to transform prosperity and abundance in your life? The overall themes for this Full Moon and this eclipse season are about purging. Anything that's not working for you anymore. It's about healing old stories that aren't serving you anymore. It's about breaking free from the past and moving forward in time. When all of these planets start to go direct again, you're going to have this urge and it's actually going to be a surge of energy to do everything that you come up with during this time. Some recommendations for this Full Moon eclipse time is to go inward. Don't be afraid to explore your feelings deeply through journaling, even through talking with other people that understand your path. Also, people who love and support you. This is a time for support. It's a time to look at how you want to move in a new and different way because the Full Moon is actually happening in an air sign which is a very creative sign. It's how you want to change your life in new ways, get creative and think out of the box so you can transform love and prosperity, so you can break free from past patterns, old stories, and limiting behaviors. You can step forward and take action in loving new ways and really set your soul on fire. This is a great time to get with your message how you want to be heard. It's about looking at how you want your message to come across to others. Spend time alone meditating as well. Spend time in nature, hiking, being in the garden, something that helps ground you during this time of purging. It could get emotional because a lot of release work can be emotional, but once you do it and you go through it, there's this wonderful side to life. Again, I want to invite you, please spend time journaling, spend time meditating, spend time in nature and getting in touch with what you really want in life. What you really want you relationships with love, prosperity, and beauty. Let me know how this Full Moon Eclipse is effect you in the comments below! Discover the 3 Step System Designed to Create Your High End Coaching Business In As Little As 90 Days! 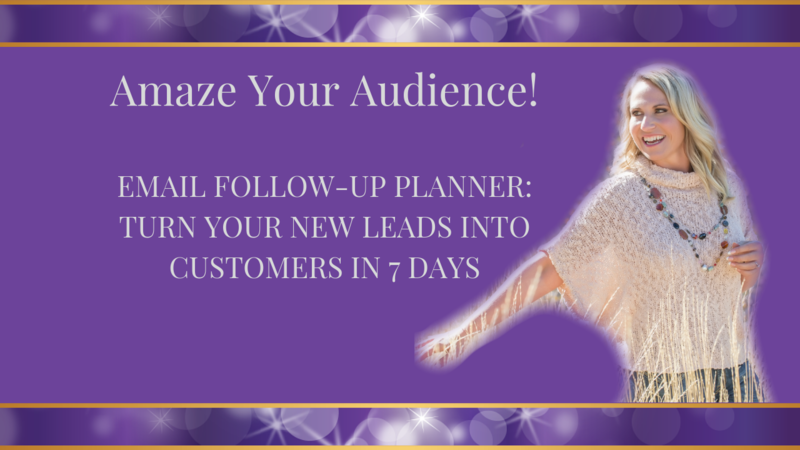 Discover How To Amaze Your Audience Through This Step By Step Planner! I want my FREE Planner! Find Your Next Client Fast!